breezes blow the curtains despite the windows being closed. Fortunately, you can use the simple tips below to insulate your windows against extreme temperatures. Use window film insulation — Window film forms a barrier between your windows and home's interior, hindering air infiltration. You can easily attach it to the indoor window frame using double-sided tape. Tighten the film by lightly blowing warm air over it with a hairdryer. Fill gaps with window seals — Foam, silicone, and vinyl window seals fill the gaps around your windows. You can nail them into place or use self-adhesive backing. They're excellent draft-killers and can withstand temperature fluctuations. Seal small cracks with rope caulk — This non-hardening putty is typically sold as a roll that you can cut to the desired size and press into holes and cracks that are too tiny for window seals. Rope caulk is also useful for sealing leaky window sashes. Cover your windows with thermal curtains — These feature a special thermal backing that keeps warm air indoors. When Should You Insulate Your Windows? Ideally, you should inspect the insulation around your windows before the cold winter weather sets in. However, because at that time it may be challenging to identify improperly-sealed windows due to indoor and outdoor temperatures being almost equal, you may wait until it's time to turn on your heating system. 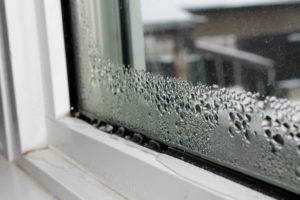 Maintaining proper window insulation will go a long way toward keeping your home comfortable and your heating bills low. For more information about insulation and any other home comfort needs in the Fort Wayne area, contact the experts at Hartman Brothers Heating & Air Conditioning.